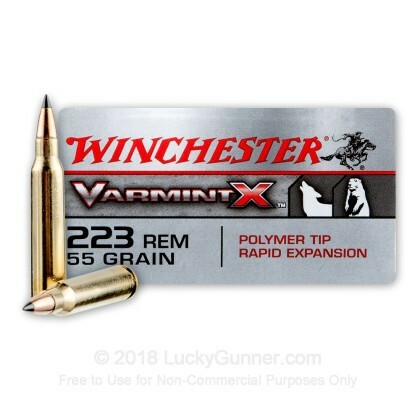 Winchester designed their Varmint X line of Ammunition to tackle the specific needs of varmint and predator control. 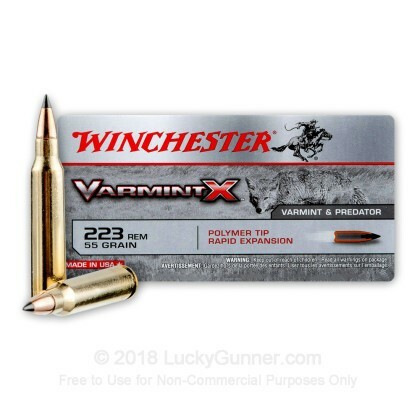 Varmint X rounds are polymer tipped, allowing them to slice through the air with minimal drag, providing ultra-flat trajectories and maximum accuracy. 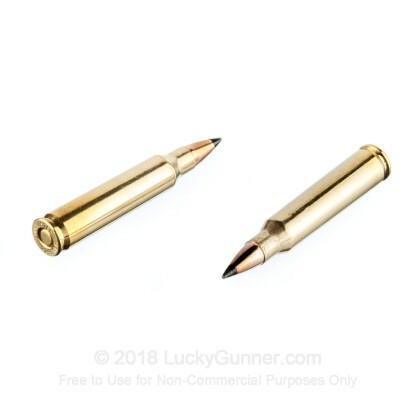 Upon impact, the polymer tip is slammed back through a specifically engineer copper-alloy jacket, creating devastating expansion and fragmentation. 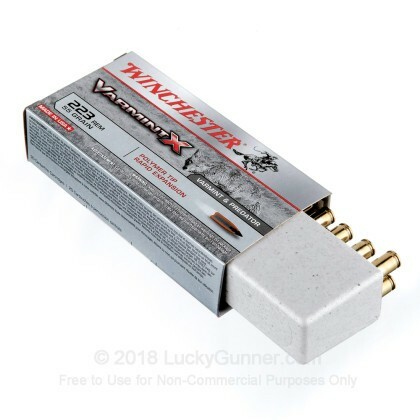 If you're looking for a one-shot solution to take out coyotes, prairie dogs or other varmint, Winchester Varmint X is the answer. Very accurate out of my Mod 12 savage. 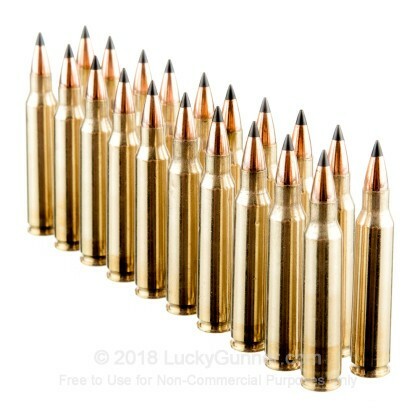 Clean shooting ammo. 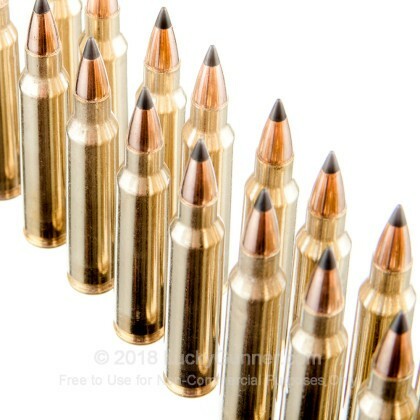 Under 1/2 inch groups at 100 yards.